Carpet Bright UK offers exceptional carpet Cleaning, rug cleaning, curtain, upholstery, mattress, Sofa and car interior cleaning services to domestic and commercial customers across Gloucestershire, Oxford and surrounding areas including Banbury, Barnsley, Bath, Berkeley, Bisley, Bradley Stoke, Bristol, Cheltenham, Chipping Campden, Chipping Sodbury, Cirencester, Cotswolds, Gloucester, Kingswood, Lechlade, Oxford, Sherborne, Stonehouse, Stroud, Swindon, Tetbury, Tewkesbury, Worcester, Yate. We offer fast, effective, and affordable cleaning solutions with long lasting results, working closely with our clients to ensure their individual needs are met. Our professionally-equipped vans and team of certified technicians guarantee high-quality workmanship with every clean, which removes 99% bacteria, virus and other harmful stuffs from your carpets and make them new and fresh. We only use eco-friendly natural cleaning solutions. Our super-quick carpet-drying system works within two hours. We will never pressure you to buy or offer you a service you don’t need. 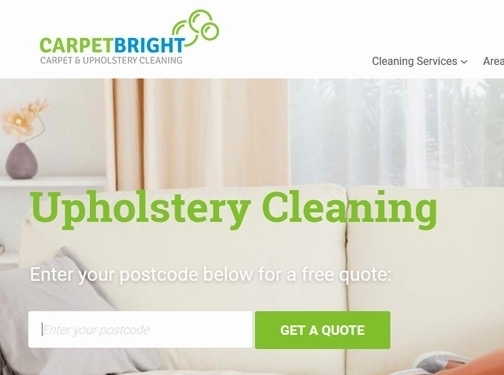 Our trained professional team takes pride: you’re guaranteed a great job on the day Carpet Bright UK’s technicians offer exceptionally high standards of customer service. We’ll always tell you clearly what we’re going to do before we start. We’ll make sure to arrive on time: punctuality is our watchword. We offer a no shrinkage guarantee. We are fully insured. UK (Croydon, Surrey) based business providing a range of cleaning services. Website includes details of services provided, work examples, testimonials, client list, terms and conditions, associations, full contact details.